Why did Nikšić stop building the Dom Revolucije? 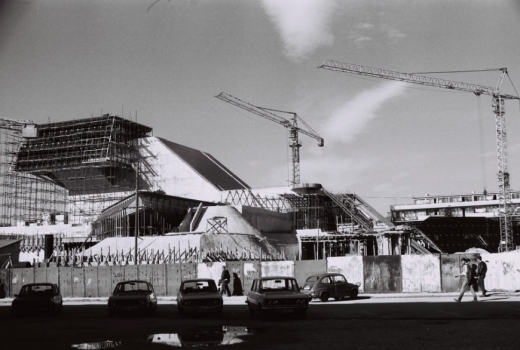 Construction work on the Dom Revolucije ended in 1989. Image courtesy of Marko Mušič’s archive.